CSCR in collaboration with Cohasset Public Schools, UMASS Boston, and Mass IDEAS, hosted over 60 educators, adminstrators, community members and town officials at the Lightkeepers' Cottage, to practice and discuss project-based learning. It was amazing! We went to the top of Beacon Rock, the reversing falls, the Minot's Light Memorial, the marsh by CMI and to Billy Olliver's lobster boat to experience the world as children do and note how much one can learn by observation and by being curious. Eight teams were then presented a design challenge to submit and present to an authentic panel of judges from our local business community. Their proposals blew our minds and were filmed by 143TV. We look forward to connecting the participants for their own real-world project-based learning endeavors, and to continuing the momentum of this energizing event! Look for more on our Innovation Team. Highlights, photos, video, an article in EdWeek and a full report are available. For more information contact jbuckley at ccscr.org. 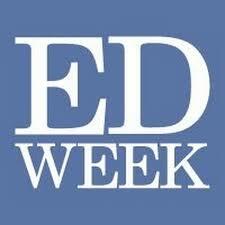 Check out the Ed Week coverage by clicking here. And check out the NGLC coverage by clicking this link.